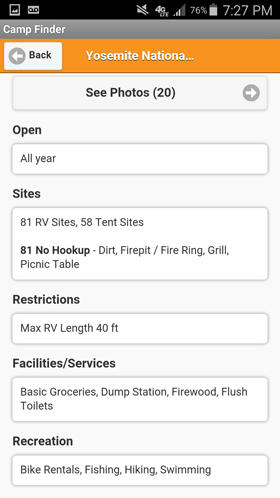 Requirements: Compatible with Android. 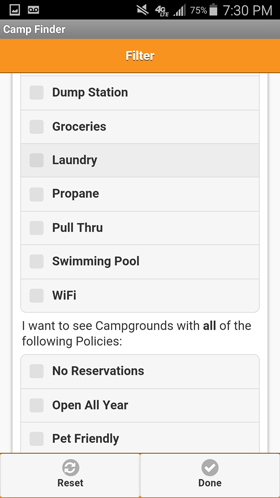 Requires Android 4.0 or later. 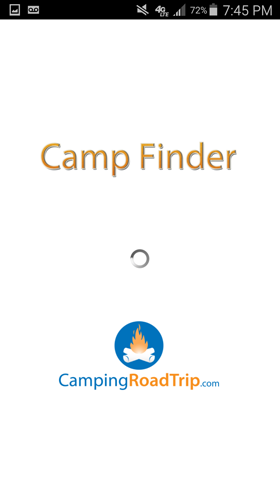 If you're on the road or just trying to plan the perfect camping or RV trip, Camp Finder is the app for you. 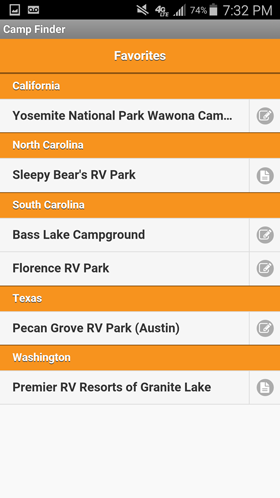 Camp Finder has the latest information on 19,000 Campgrounds and RV Parks across the USA taken from the popular RV and camping travel website CampingRoadTrip.com, so you can find a place to stay and a place to play. 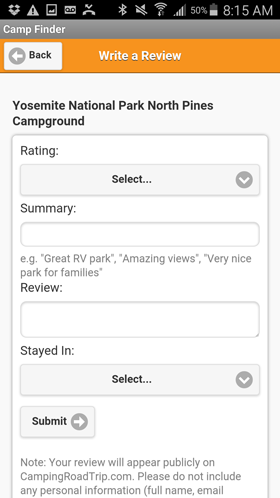 Read reviews from other campers and RVers to quickly find the great places and avoid the bad ones. 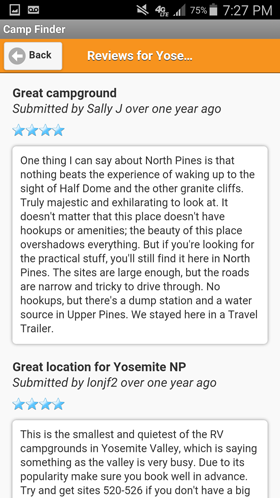 Write your own reviews to share your experiences so others can know what the place was like. 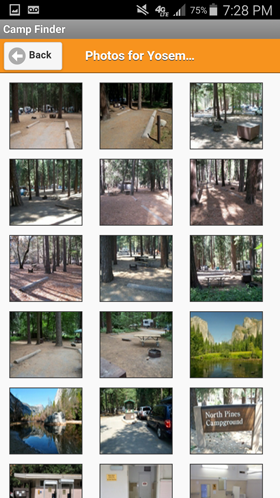 Check out photos of the sites, laundry, restrooms, swimming pool and other amenities. 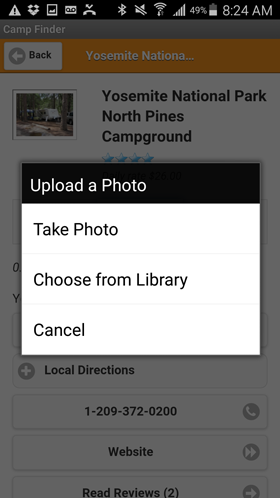 Take photos of your camp site and the facilities to help other campers and RVers see what a place is really like. 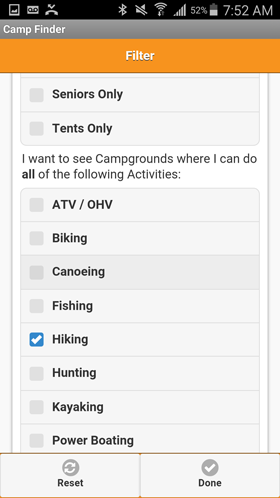 Add your favorite campgrounds with personal notes to your Favorites list so you can quickly access them to remember the important things. 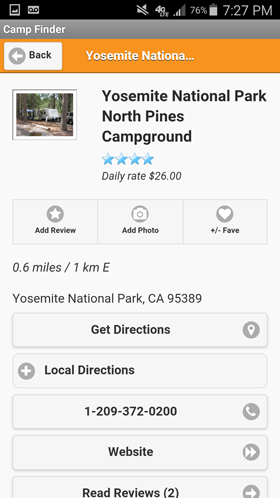 We have GPS coordinates and we work with Google Maps so you can easily find your campground destination. 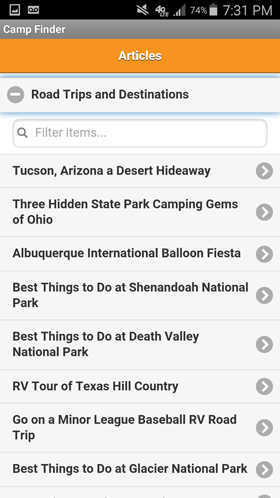 In addition, we also provide local directions. 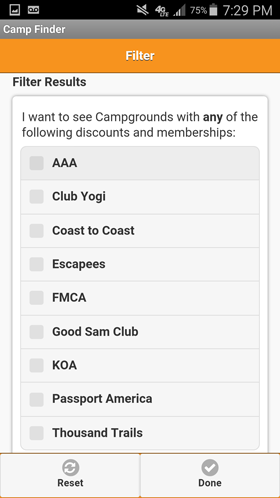 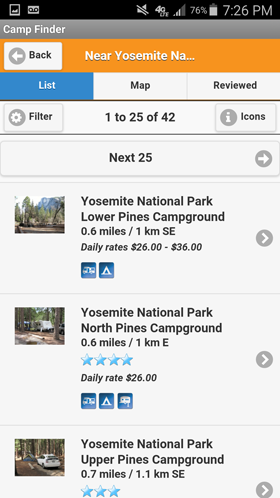 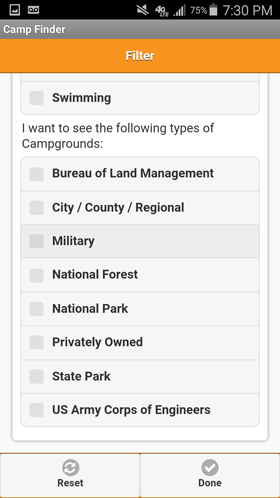 Camp Finder Android app puts 19,000 campgrounds, RV parks and RV resorts in your pocket, giving you the freedom and spontaneity to have a great time on the road. 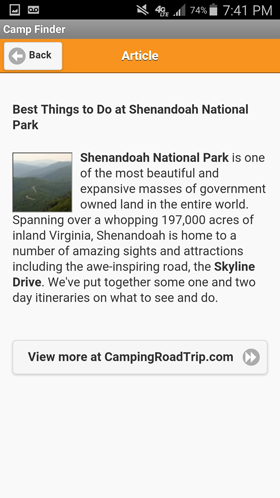 "Great app, easy to use and fast. 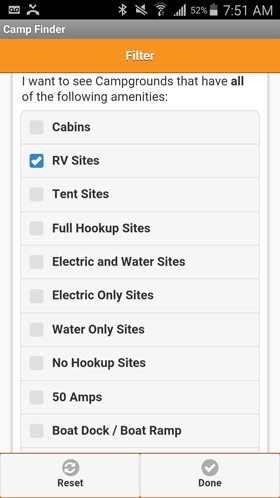 Simply the best camping related app for Android. 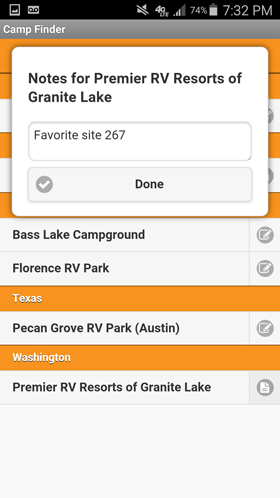 A great little tool to carry with you on the road. 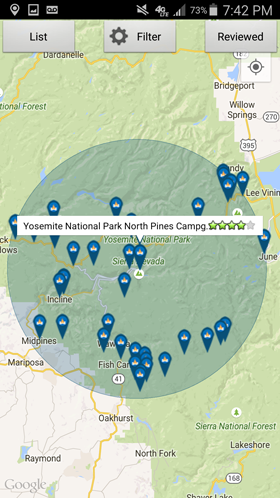 Has lots of information and the data is very much up-to-date. 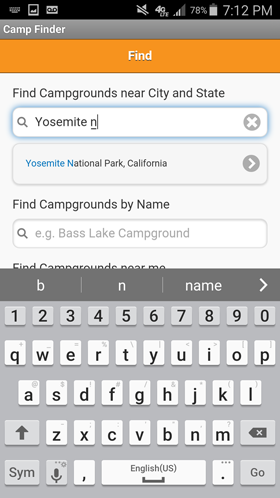 Fast, easy to use, and most importantly only $2." 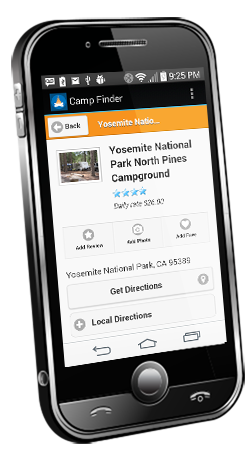 "This is the easiest to use Android camping app. 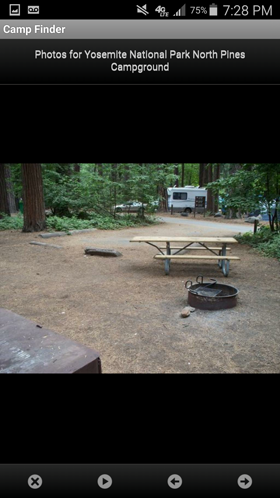 I found the nearest campground in seconds. 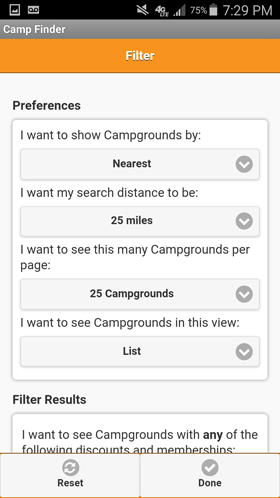 Other camper's comments is a useful feature." 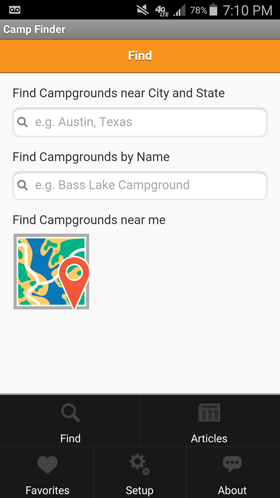 "This is an awesome app for campers, super easy to use, great resource while your on the road"